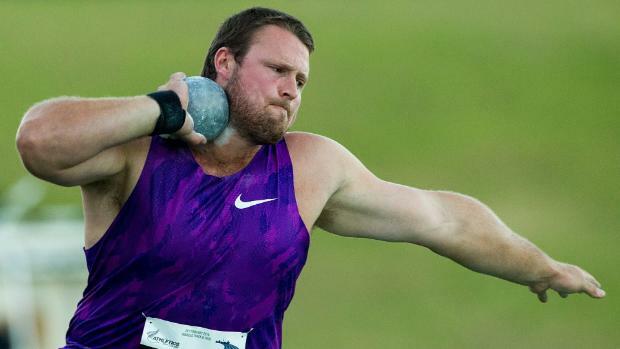 It is time for my former thrower, Pat Trofimuk, and I to make our annual Big Meet predictions. I’m a bit worried that this will be Trofimuk’s last time helping me as he is but a few days from getting married and I know from experience that what a fiance puts up with a wife may not. If the little woman makes him choose between spending time keeping track of throws stats and spending time watching professional wrestling…. I’ll need a new partner. When I played little league baseball, there were always one or two kids in the league who were legitimately eleven years old but through some quirk of nature looked to be in their mid-20’s. I exaggerate, but you know what I mean. There were always a couple of guys who were way more physically mature than all the other kids, and when they pitched against your team you knew you had no shot. And I don’t mean you had no chance of winning the game. You had no shot at making contact with the ball. You’d slouch your way to the batter’s box knowing you were about to strike out and just hoping that you could get through it without taking a fastball to the head. Three or four pitches later you’d be on your way to the safety of the dugout, glad to have survived. Competing against Ryan Crouser must be kind of like that right now. In a world filled with outstanding shot putters (14 have gone over 70 feet this year) he appears to be unbeatable. Twenty-two meters in an Olympics or World Championships is a great performance. Throw that in London, and you’ll for sure be in the hunt…for second place. The 2015 World Champion, Joe is a super explosive, technically excellent putter. Just entering his prime, he can already make a case as being one of the best of all time. 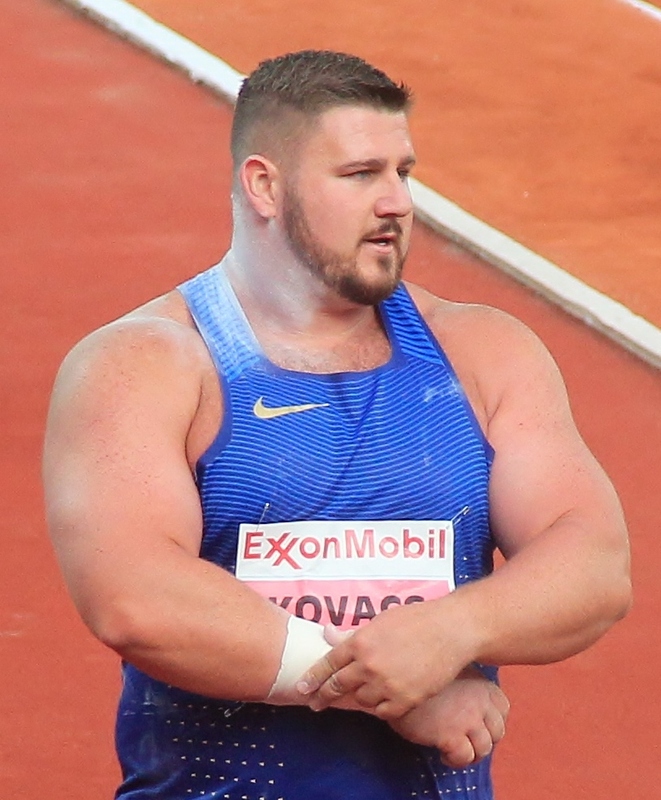 Accordingly, he came up huge this past June at the USATF Championships with a sixth round bomb of 22.35m (73’4″for you provincial types). That’s a monster put, and because of it, Joe only lost by a foot when Crouser responded with 22.65m. Former indoor World Champion Ryan Whiting, another all-time great, also showed up big in Sacramento. 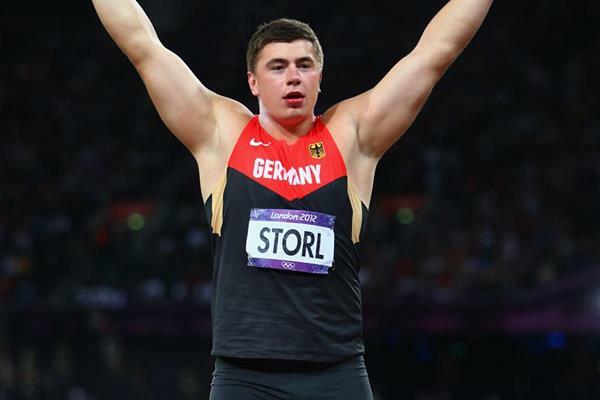 After enduring a couple of sub par years due to injuries, his 21.54m demonstrated that he is once again ready to fight for a spot on the podium at big meets. It also left him nearly four feet behind Crouser. But again, even if Tom goes twenty-two meters in London (and he may well do that) he’s not walking away with the gold. How about my guy David Storl? I love the glide technique, and this two-time World Champ may be the best glider ever. Like Whiting, he has been limited by injuries the past couple of years, but his recent 21.87m put suggests that he’s in great shape. If he matches that distance in London, he’ll have an outside shot…at a bronze medal. So, without further ado, here are our predictions. Reason: Trofimuk says that three spinners will medal, (is it just me, or does that sound a tad biased?) and that Joe is the only contestant aside from Walsh and Crouser who can throw 22.00m. Reason: At the 2013 NCAA Championships in Eugene, a young, skinny Crouser was sitting on two fouls as he entered the ring for his third throw. According to Dan Block, probably the greatest thrower in Illinois prep history who was competing for Wisconsin at that time, Crouser took a slow motion safety throw. The result? Twenty meters thirty-one for the win. 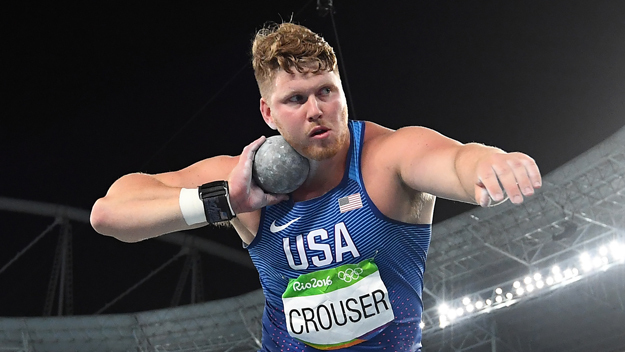 Crouser beating a stacked NCAA field, which included two-time defending champ Jordan Clarke, with a half-speed throw suggested the possibility of future dominance. Now, four years and forty pounds later, the future has arrived. Reason: Joe is the only putter in the field aside from Crouser who can go 22.20m on a “good” rather than “insanely great” day. Insanely great performances are rare at the World Championships.